« In any discussion concerning the history and development of Chinese performance art, it would be hard to avoid mentioning such an unusual, brave and adventurous artist as Sheng Qi. By 1986 he had already thrown himself into the practice of performance art, and is recognized as one of the earliest protagonists of this art form in China. He carried out performance works in various symbolic locations including Peking University (1986), the Yuanmingyuan (1987) and on the Great Wall (1988). Because of this, his performances are regarded as having made an important contribution to the beginnings of Chinese performance art. Reviewing the documentation of Sheng Qi¡¯s past works, we can still sense his passion for art and the cultural transgression these works represented in the context of that time. After the events of June 4th 1989, China’s social and political climate was greatly altered, with heavy losses inflicted on freedom of thought and expression. The creative work of avant-garde artists fell under a variety of restrictions, and culture as a whole entered a quiet and helpless phase. Towards the end of 1989, driven to irrational acts by the depressing and stifling atmosphere, Sheng Qi chopped off the little finger of his left hand and buried it under the earth inside a flowerpot. Soon afterwards, he left Beijing for Rome, leaving this small piece of flesh and bone behind in China. It could be seen as symbolizing the separation of body and soul, the binary opposition that exists between life and death, time and space, spirit and matter, indicating that although his body had relocated to a foreign county, his spirit remained in his native land. As Sheng Qi says, « The performance process of Hand », time-wise, will continue throughout my whole life. 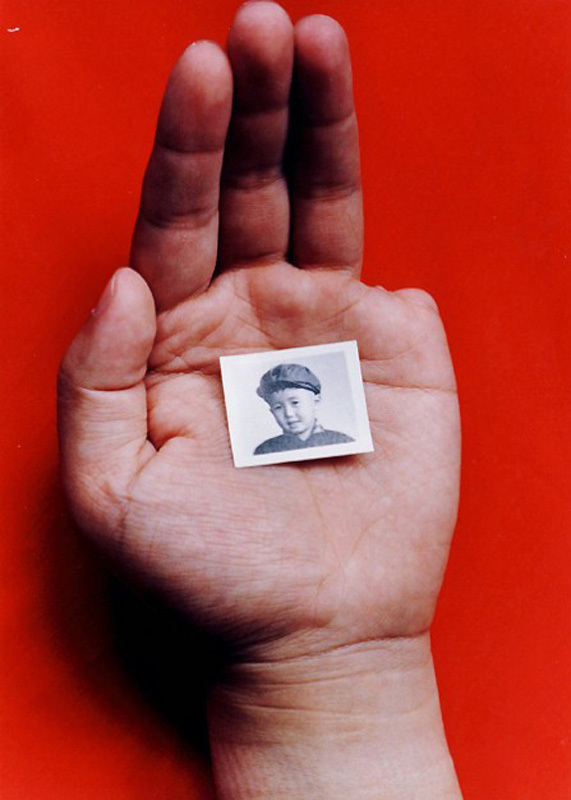 Ten years later in 1999, he produced a large format photograph of his clenched fist against a red background, with 1989¡written across the thumb and four remaining fingers. This mutilated but elegant hand is a witness to history, a spiritual entity that solidifies the joys and suffering of the past. Sorrows engraved on the mind have shaped the spiritual form of this entity and its provocative visual power. In the 1990s, Sheng Qi used his body as an expressive medium to extend the concept of performance art and gain more understanding of how people exist and live in the world, in other words to grasp the concrete world that we inhabit. In this sense, our understanding of everyday life is determined by the animated body, with the body functioning as a synthesis of forces, a refraction and condensation of the sociology of physical space. Particularly worth noting is Sheng Qi’s 1997 performance in the ICA, London, entitled « Happy Chicken ». This performance was a provocative attack on the norms of human behavior; through the artist’s actions the body became something ambiguous, both individual and non-individual, objective and subjective, social and natural. It reproduced East Asian modes of thought and perception, treating the body as a form of social discourse, a symbol system or metaphor for social structure. Sheng Qi does not create performance works according to logic, but tries to reveal through his art the contradiction between man’s animal nature and scientific reason. He is not interested in explaining the binary opposition between body and soul; rather, he believes that the body has a kind of productive quality. For Sheng Qi, the body means impulse and passion untainted by elements of rationality, a full release of individual power and purpose. Thus, the body is also imbued with the relationship between control and being controlled, its mode of expression not just biological, but also social and political. Sheng Qi sees the body as being abstract rather than concrete, possessed of an abstract productivity; the power to produce and create. The body is a productive force that is constantly sublimating. It creates social reality from desires and drives and takes care of everyday social life. In fact, the productivity of the body is equivalent to social production. Sheng Qi sees the body as something that has always been strictly controlled and coded by society, but he believes that these codes can ultimately be broken by the body itself. In his 1999 performance Beijing – Beijing, he took away the individuality of his body by swathing his entire head in red cloth, a green army jacket covering his upper body while the lower half remained naked. Individual characteristics became abstract; the colors and clothes were symbolic of social codes, suggesting that this body had been dominated, reformed and regulated, and in effect tamed. By using these expressive methods to represent a passive body, Sheng Qi had no ultimate aesthetic aim, but wanted to emphasize the power relations that exist between the body and the social system. Through involvement in the socio-political realm, the body comes into contact with forces whose aim is to interfere with it in various ways, whether through training, torture, imposition or coercion. In this sense, Sheng Qi’s performance art is clearly asking a rhetorical question: what kind of bodies do we all possess? Sheng Qi is also very interested in bodies situated in social and everyday spaces where they have both rank and regionality. He sees bodies as flowing, forming, variable, and is constantly delving into their visual significance, the external issues of token symbolism and the internal issues that relate to the control and alteration of the body by society. For the 1999 performance Concept 21 AIDS he positioned himself in front of the China National Gallery, and pinned red AIDS awareness ribbons onto members of the public who passed by. This work reminds us that it is often only when people fall ill that they realise the existential meaning of the body, the subject of human life. He also made large poster-style photographs of his left hand with a red AIDS ribbon placed in the open palm, making the connection between body and disease even more obvious. These works serve as a metaphor for complicated social issues, such as the body¡¯s struggle with medicine and with social ethics. 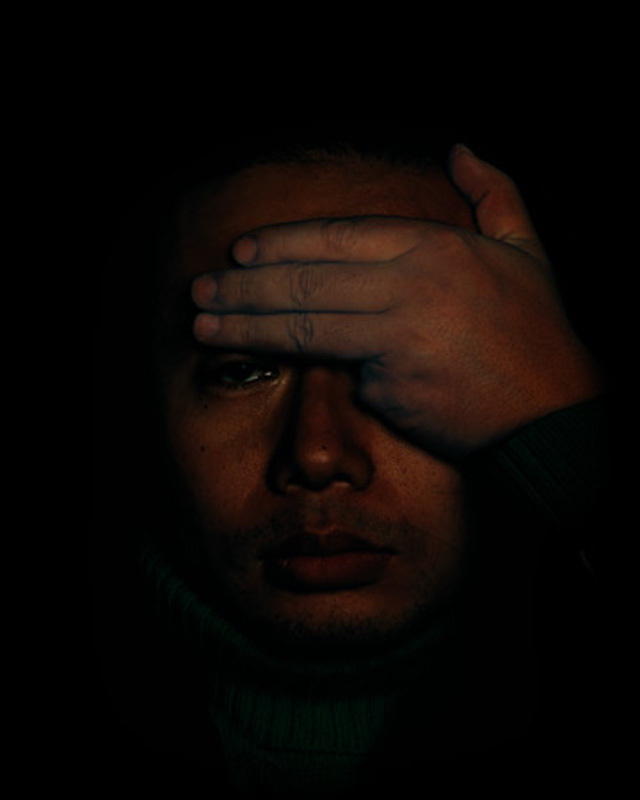 Sheng Qi later took this social relationship to a deeper level, and discovered a connection between his mutilated hand and copies of old newspaper photographs. The photographs he selected cover a considerable span of time (from the 1960s to the present day), and include images that refer to the political situation of the time, as well as various international, economic, social, military and cultural incidents. News photographs have a quality of readability for the public, and are thus closely connected with people¡¯s lives. Sheng Qi takes full advantage of the foundation provided by this universality, and as he establishes the photos in a relationship, he also separates them from the connotations of their original context and simply gives prominence to visual language. He makes a subjective break in the historical narrative, and instead connects the images with individual memories and life experiences. The copies, reduced in size and placed in the palm of his missing-fingered left hand, are transformed from photographs imbued with historical grandeur into scenes that lack relevant contextual relations. In this specially constructed context the photos become separated from their former attributes of news and politics, and move into a new space where they become more abstract (a similar approach and concept can be found in Sheng Qi’s (calligraphic paintings). To sum up, Sheng Qi has subjectively disrupted the text-image continuity and integrity found in newspapers, thus stripping the images used in his work of their sense of grandeur. It could be said that Sheng Qi,like a madman, makes a daring pastiche of all the things he appropriates, re-integrating the fragments, details and out-of-context photos, constantly combining, arranging, and creating a new madman’s visual language.